Drip coffee maker is popular because of baseball? 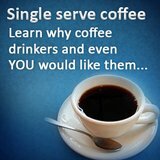 Sure, drip coffee maker is not the flavor of the month currently if you are talking about coffee brewing. This title belongs to single serve coffee brewer, not too long ago, it was automatic espresso maker. Just to satisfy those history geek, the very first real coffee maker in the form of a percolator was invented in Paris by a guy Laurens, in the year 1818. From there, it was used in homes and restaurants, even now if you go to some rural part of the country, you should still be able to find percolator based system. It was used, but I would not used the term popular. Then, while there is not much records on who is the first to came out with drip filter coffee maker, melitta on their website highlight that they are the ones that came out with the filter paper, while bunn stress that they are the one that started the drip filter system. Personally, it does not matter. I think it is more important to know the company that make it popular, the company that market it successfully. And that would be mr coffee, and its use of the correct spokesperson -Joe DiMaggio. In 1974, once Joe, one of the greatest baseball player around endorse the product, drip coffee maker was the default machine for coffee brewing. It sored to dizzy heights in terms of sales and market growth. For close to twenty years, nothing come close to the sales or market share that drip filter system has. Sure, espresso machines has their moment, but they were either too complicated or too expensive. In fact, it was only with the arrival of single serve coffee maker that drip filter machine market share started to erode. What has this got to do with me who is buying a coffee maker? Well,at least you would not have the idea that drip coffee machine is just some cheap brewing device, it was once the default brewing machine. And if you are looking for old school and not too complicated way of brewing coffee, drip filter still delivers great cuppa! Black and decker tcm830 is low in cost, sleek in look and pretty easy to use. This is probably the reason why black and decker has remained one of the favorite brands among consumers -comprehensive. The different filter coffee makers uses can affect the quality of the brew and of course it also affect the cost and also the way you use you coffee maker. Michael graves design coffee makers that look very good, but can it brew good coffee as well? 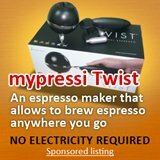 Learn more about this hot selling coffee maker in places like amazon. 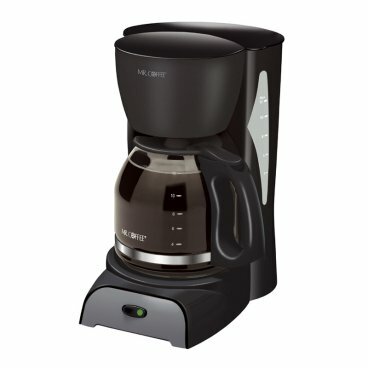 What coffee filter machines should I buy? This brewmatic coffee machine is anything but low profile! Nobody understand why brewmatic coffee machine is known as a low profile brewing system, perhaps it is because it can be installed under the cabinet, but it is pretty high profile! Sensio coffee maker might be one of the less known coffee maker. But this does not deter the fact that it is a good brewer that does great coffee. 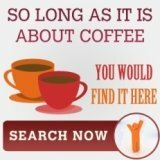 Looking for a Beautiful Coffee Filter Machine? Espressione digital is one of the few coffee filter machine that be termed beautiful, and of course this coffee maker is not all looks and no substance, it brews great coffee too! Filter coffee machine small enough for your work desk? Have A Great Story About Drip Coffee Maker? 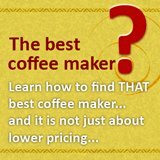 Do you have a great story about drip coffee maker? Share it!